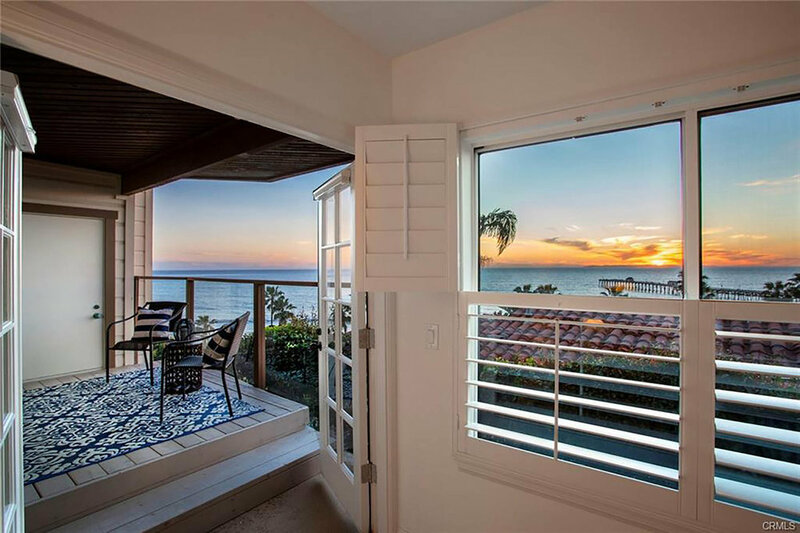 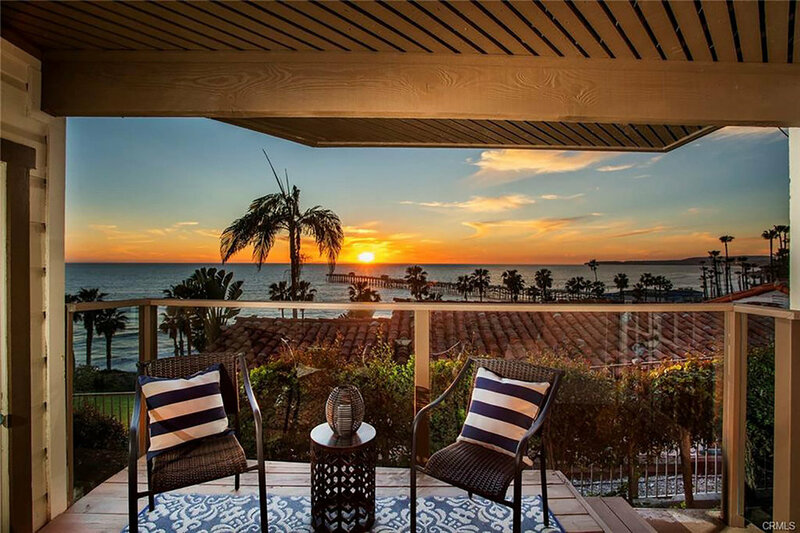 Perhaps the most sought after oceanfront condominium at Driftwood Bluffs, this exclusive ocean view condo offers a coastal living experience unmatched. 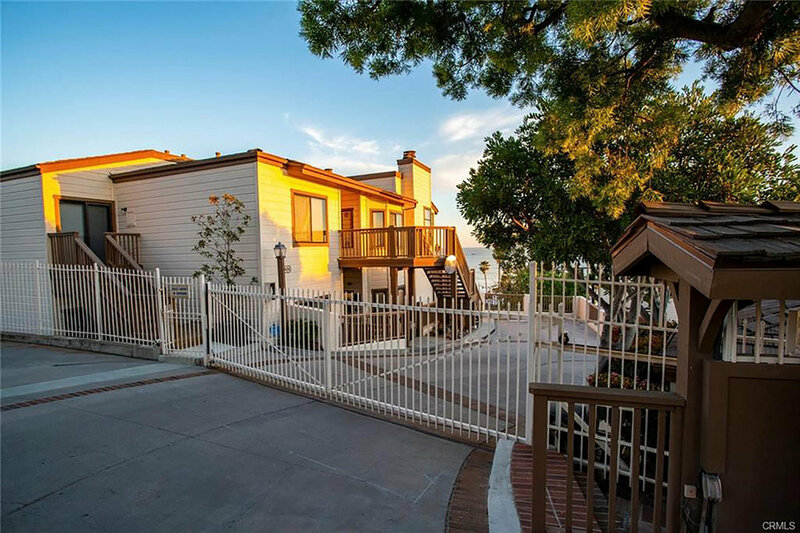 Just south of the pier, this secured, 15-unit complex is nestled down a very rarely traveled cul-de-sac. 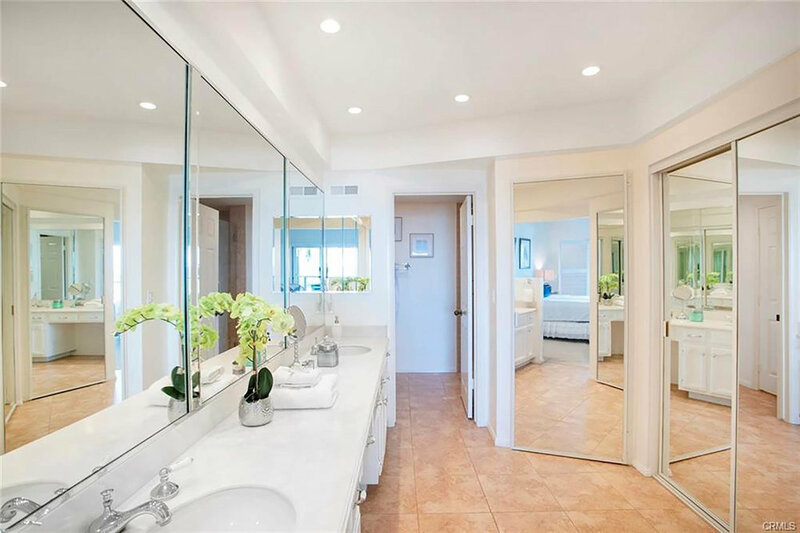 An emerald horizon saturates nearly every area of this two bedroom, two bathroom, single level unit. 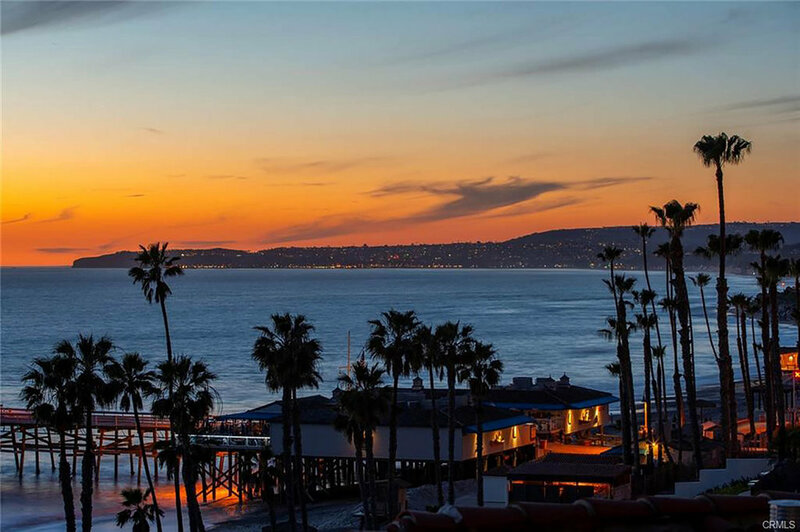 Enjoy captivating views including crashing whitewater waves below, Catalina and San Clemente Islands, mesmerizing sunsets, and etched coastline vistas reaching as distant as the headlands at Dana Point. 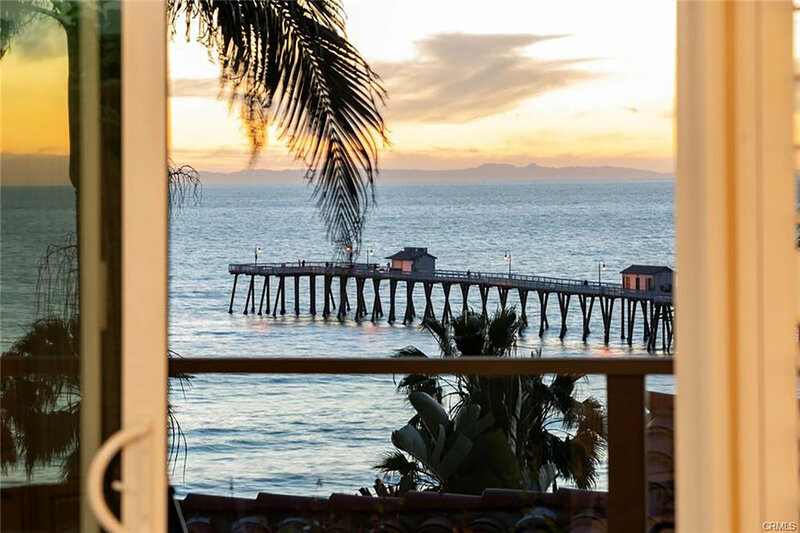 Spanish tiles at San Clemente’s iconic Beachcomber Inn just below add to the ‘Spanish Village by the Sea’ feeling. 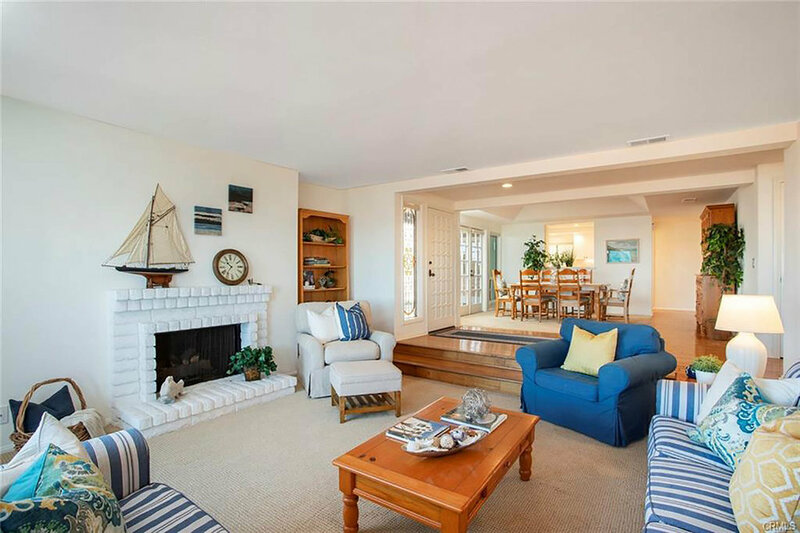 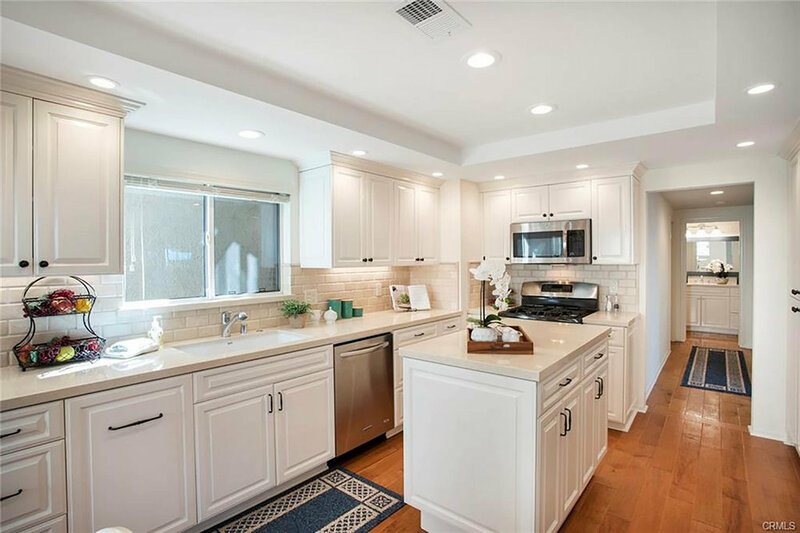 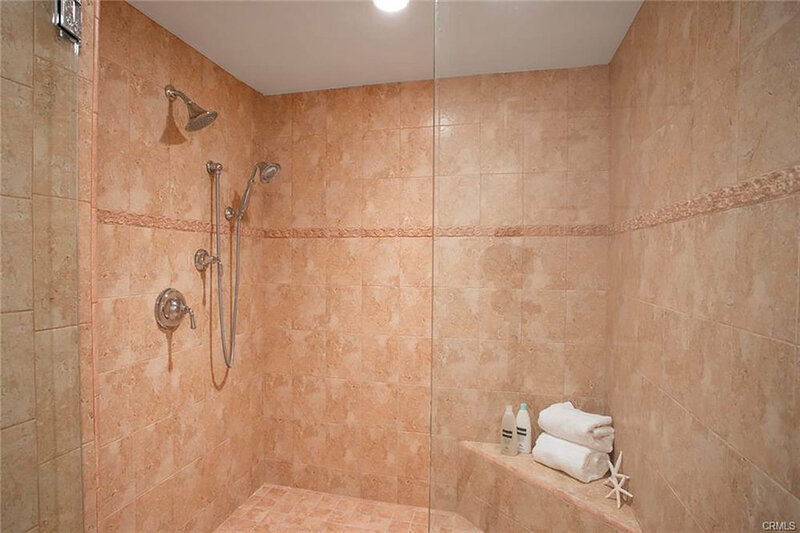 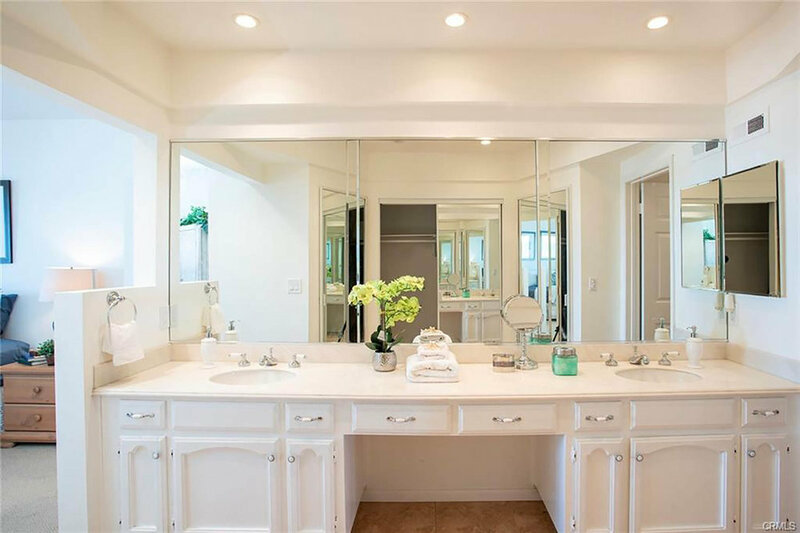 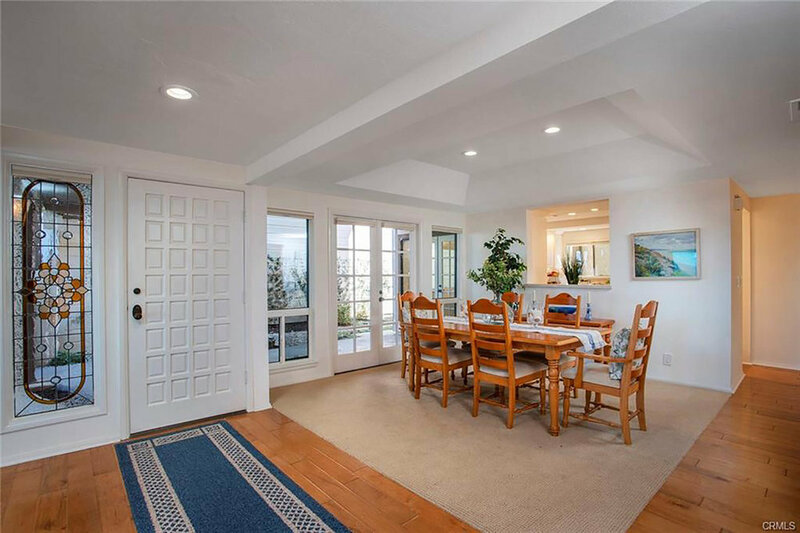 With recent remodeling finished in 2016, fresh updates include a very clean, and fully renovated kitchen, modified to capture the ocean horizon, newer wood floors, carpeting, and a fully remodeled guest bathroom. 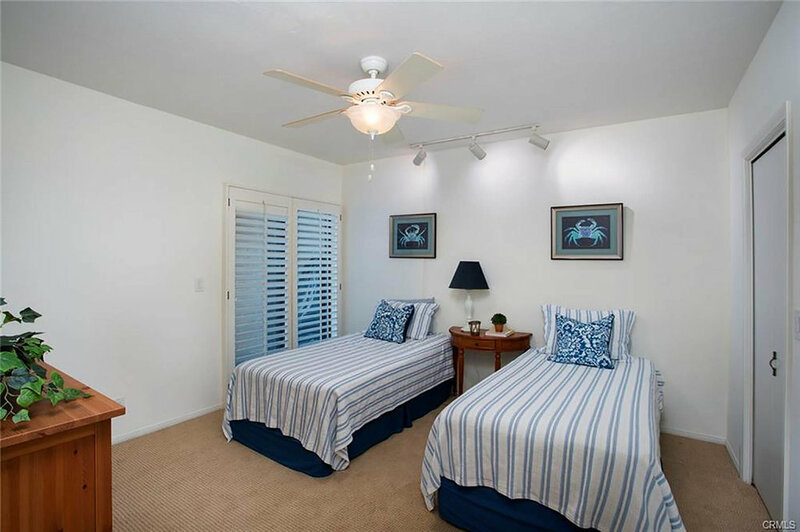 Various newer windows and sliders, new bright and beachy interior paint, washer and dryer (included), plantation shutters, and newly planted landscaping in the front entry area, this unit is truly immaculate. 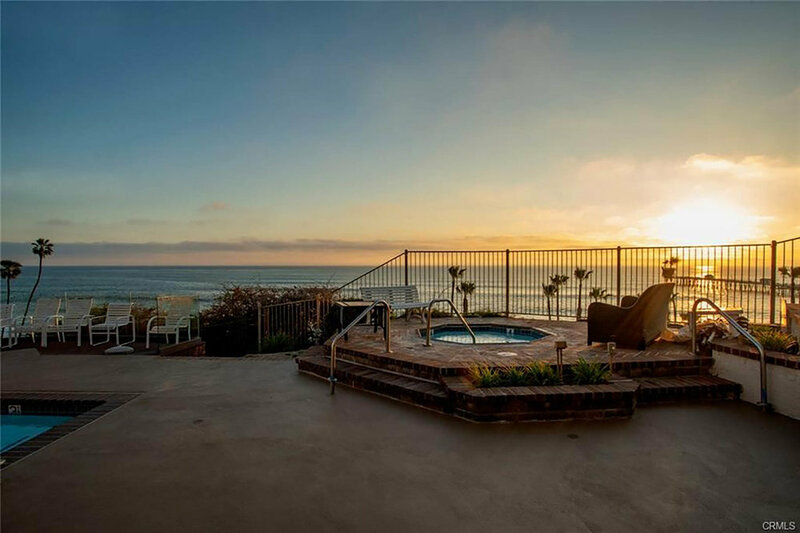 Enjoy a resort-like setting at the private oceanfront pool and spa while watching surfers ride world-class waves below at the San Clemente Pier and T-Street just to the south. 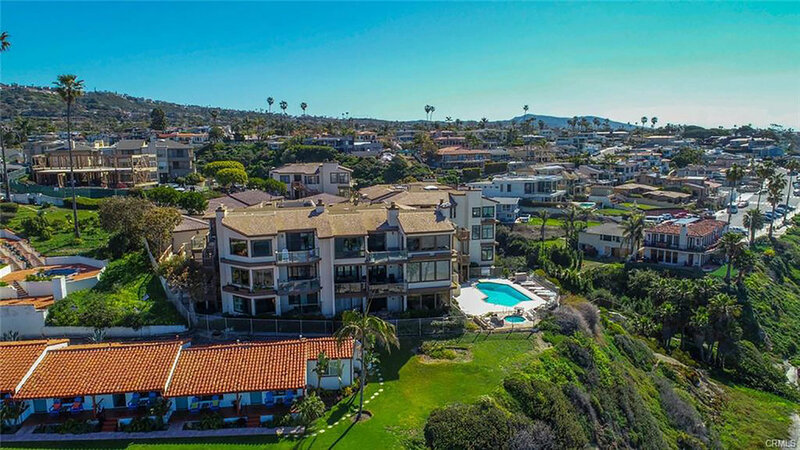 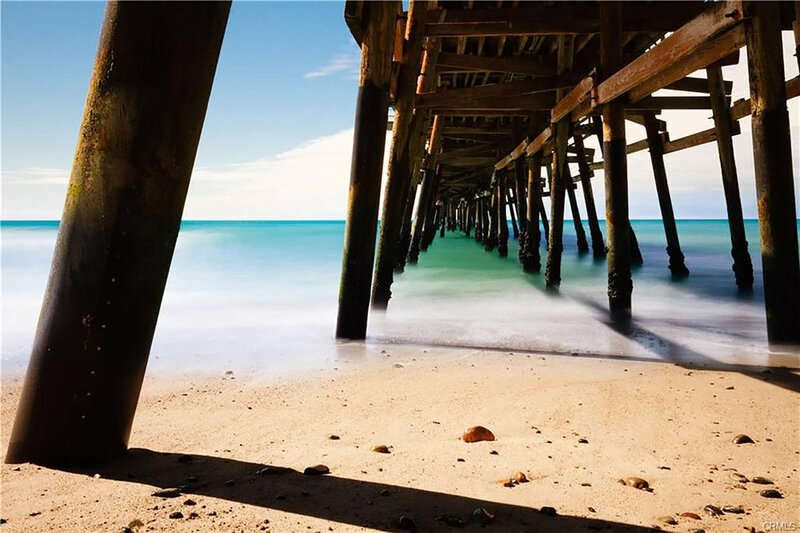 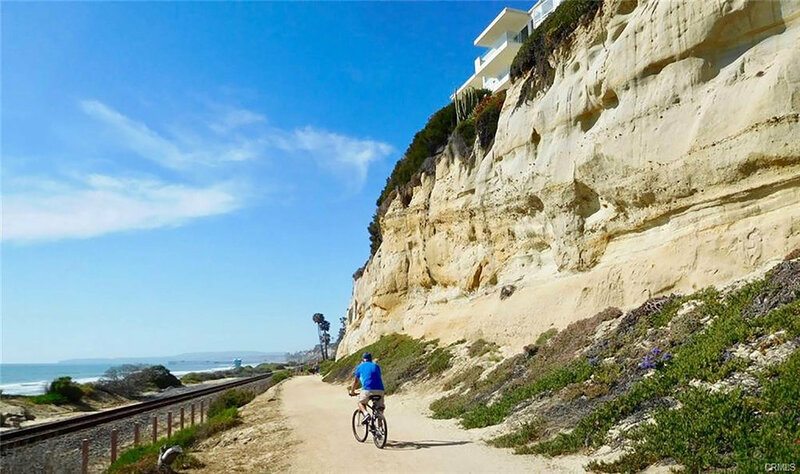 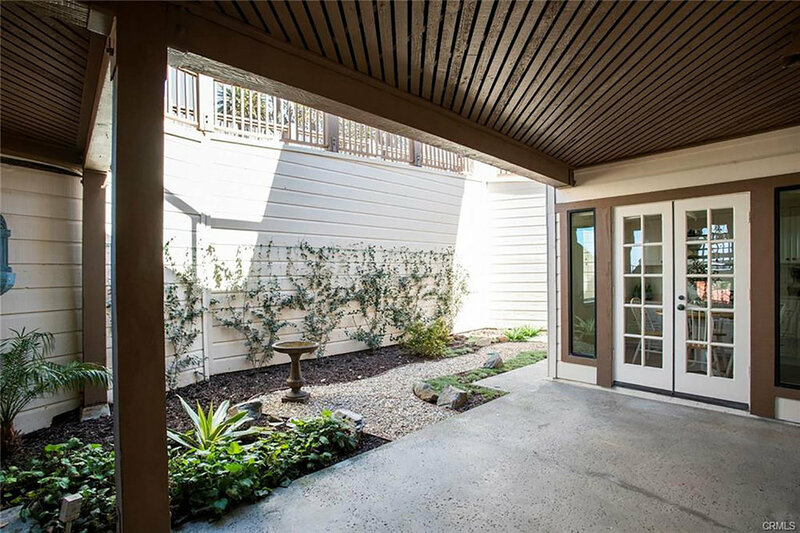 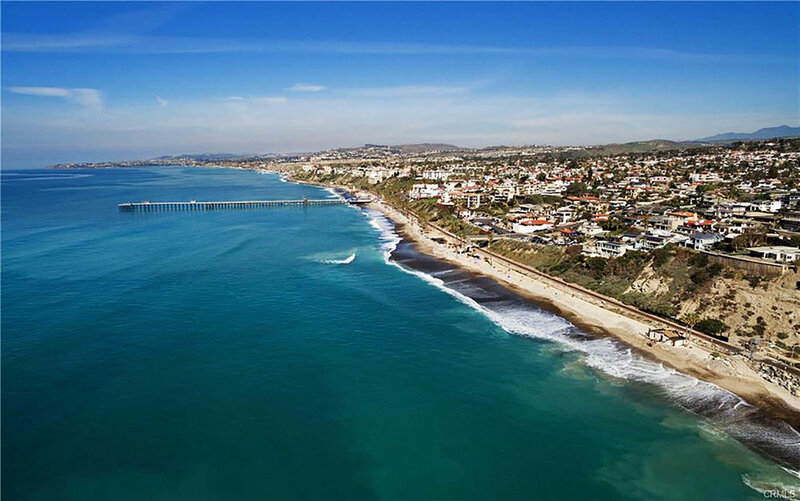 Only a 5-minute walk down the street to new restaurants and cafes, shopping, the famous oceanfront beach trail, amazing surfing, and beautiful beaches, this beachside unit offers the quintessential San Clemente lifestyle.